Between cheering on the Fighting Irish, visiting the Potawatomi Zoo, and soaking up the history at the various museums in South Bend, IN, you're going to work up quite an appetite. Luckily, there is a deliciously varied amount of places where you can sample local fare, specialty treats, and old favorites. 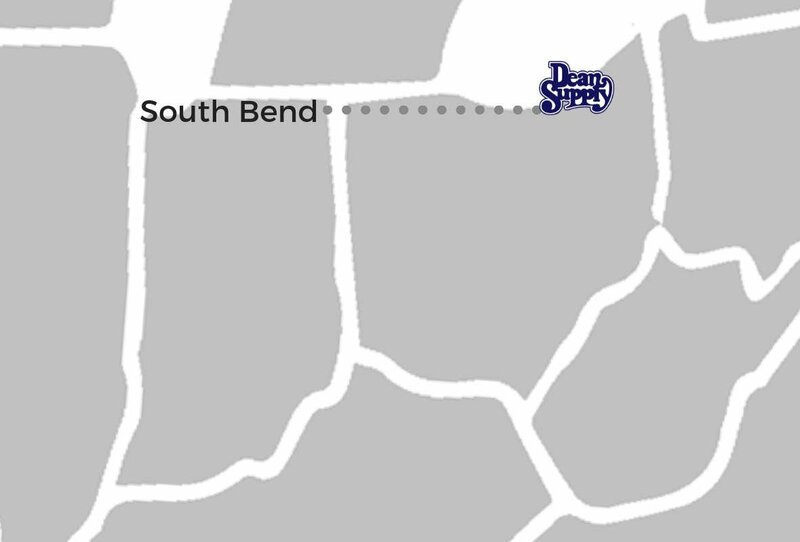 It takes a lot of time and effort to run such a delightfully unique food scene, which is why we at Dean Supply have dedicated ourselves to being the premier provider of South Bend restaurant supplies. We understand what it takes to run a successful foodservice business, and we have committed to being with you every step of the way to help you achieve your goals. With over 14,000 items in stock at our Cleveland warehouse, we are ready and waiting to provide fast, reliable shipping to get your restaurant supplies to your South Bend business. With the option to buy small or bulk purchases, you are sure to find the tools you need without emptying your wallet. We're also open to the public, so if you're looking for the best kitchen supply store online, you've found it. From bulk dinnerware, restaurant glassware, commercial cookware, kitchen equipment, food prep tools, restaurant flatware and much more, we'll be with you every step of the way. Are you wondering where to buy commercial equipment for South Bend, IN? We have that too! We have a complete selection of foodservice equipment to keep your commercial kitchen running at its most efficient. From ranges, reach in freezers, charbroilers, merchandisers, chef bases, and much more, we have all the restaurant equipment to serve Northern Indiana and Western Michigan. Opening a new business in South Bend, IN? Want to refresh some of your current commercial kitchen items? As a foodservice operator, there are millions of tough decisions to make, which is why we're here to help. The Dean Supply Reference Guide is a comprehensive guide that will take you through the latest trends in restaurant equipment, design and food prep tools that will help you craft your business to be something all its own. Check out the guide and get inspired today!